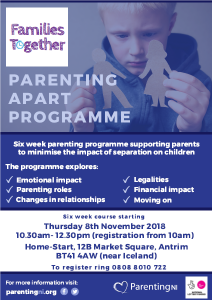 The Families Together Project still has a couple of spare seats on the Parenting Apart programme starting tomorrow in Antrim. 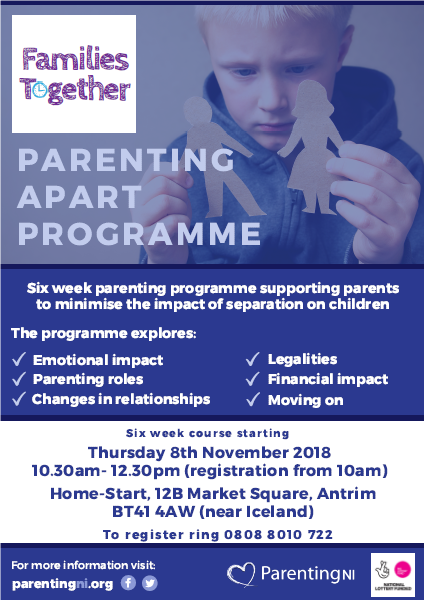 This programme explores topics like co-parenting and minimising the impact of separation on children. To register call freephone 0808 8010 722.